According to the United States Department of Energy, a typical facility can realize steam savings of 20% by improving their steam system. Improvements to the steam system may include insulating steam and condensate return lines, stopping any steam leaks, and maintaining steam traps. Experts have also said that as much as 20% of the steam generated at the central boiler is lost to leaking or failed steam traps. With current steam prices averaging between $8.00 to $12.00 per thousand pounds of steam, a steam trap inspection program is a must. For example, if a steam trap with an orifice size of 3/32” operating at 100 psi steam can lose nearly 30 lbs. of steam per hour, at a cost of $8.00/1000 lbs. of steam, that results in a loss of over $2,000 per year from just one failed steam trap. Ultrasound technology is used by maintenance and reliability professionals around the world, and is considered to be the most versatile of any PdM technology. Typical applications for ultrasound include compressed air & gas leak detection, bearing inspection, motors, gearboxes, electrical inspection of energized electrical equipment, valves, hydraulic applications, and steam traps. Hand-held airborne and structure- borne ultrasound instruments sense and receive high frequency sound waves that are produced from various sources that include friction as in an under lubricated bearing, ionization in electrical discharges like corona, and turbulence such as a compressed air leak or failed steam trap. These high frequency sounds are above the range of normal human hearing, and therefore cannot be heard in the audible range. The instrument receives the high frequency sound, and through a process called heterodyning, translates the high frequency sound into an audible sound heard through the headset by the inspector. The sound is then measured as a decibel (dB) on the display panel of the instrument, and depending on the instrument, can also be viewed as a spectrum in the Fast Fourier Transfer (FFT) or Time Wave Form. However, when it comes to steam trap inspection, one technology alone can’t do everything. World Class maintenance and reliability programs utilize multiple inspection technologies when it comes to inspecting the assets that they are responsible for. For steam trap inspection, visual inspection, temperature measurement, and ultrasound should all be used during a steam trap inspection route. Before beginning any inspection of steam traps, it will be helpful to think a few things through that will help to make the steam trap survey successful. First, walk the area to identify and tag every steam trap. You can’t begin to test the steam traps until you identify where all of the steam traps are located. A tagging system should be used during the walk through to help identify the steam trap once the steam trap survey has begun. The tag should include a number, and information about the trap such as the manufacturer of the steam trap, the type of steam trap, the orifice size inside the steam trap, and the purpose of the steam trap should be noted. This information can then be entered into the steam trap database software, such as UE Systems’ Ultratrend DMS. Within the Ultratrend DMS software, a photo of the steam trap can also be added for additional recordkeeping and reporting purposes. areas of the facility where instruments that are rated as Intrinsically Safe will be required? Also, what PPE will be required such as gloves, safety glasses, hard hat, a long sleeve shirt, etc. Also during the walk through, other conditions should be noted such as: an abnormally warm boiler room, a condensate receiver is venting excessive steam, a condensate pump water seal is failing, the conditioned space is either overheating or under heating, the boiler operating pressure is difficult to maintain, and a presence of water hammer. Once an accurate database of all of the steam traps has been created, the steam trap inspection can begin. To make it easier to manage the data for reporting and inspection purposes, it is recommended to break the inspection areas into zones. Follow a logical progression from steam production, steam use, and condensate return. Start at the boiler, then to the steam distribution and distribution branches. Then, proceed to process equipment, and finally to the condensate recovery systems. When the inspector is at the steam trap, before testing with ultrasound, it is recommended to take temperature readings with a simple spot radiometer first. Not only will the temperature let the inspector know if steam is coming to the trap or not, but the temperature can also be used to estimate the steam pressure. If the temperature of the steam trap is cold, the inspector should check to make sure that the valves are open or if the trap has been taken out of service. If the steam trap temperature is warm/hot, then the inspector can note the inlet and outlet temperatures and proceed to test with ultrasound. When it comes to actually testing the steam traps with ultrasound, the most important item that the inspector will need to know once they are at the steam trap, is what type of trap is being inspected. Once contact has been made with the steam trap and the ultrasound instrument, the type of steam trap will determine what the trap is supposed to sound like. Steam traps will have one of the following sound characteristics: On/Off or Continuous Flow. Typical types of steam traps that have the On/Off (hold/discharge/hold) sound are: Inverted Bucket, Thermodynamic, Thermostatic (Bellows), and Bi-Metallic. Steam traps with a continuous flow sound characteristic are: Float & Thermostatic and Fixed Orifice. It is recommended that you listen to a number of traps prior to starting the inspection to determine a “normal” sound characteristic for how the steam trap is operating under the operating conditions of your particular steam system. Testing steam traps with ultrasound is a structure-borne or contact application. Physical contact between the steam trap and the ultrasound instrument is necessary in order to be able to “hear” how the steam trap is performing. If using an ultrasound instrument that has frequency tuning, adjust the frequency to the recommended frequency setting of 25 kHz. If the ultrasound instrument does not have frequency tuning capability, the frequency setting is more than likely set to 38 kHz. Regardless of the type of trap, the placement of the contact probe or stethoscope module attachment on the ultrasound instrument will always be at the discharge orifice of the trap. Turbulence is created on the outlet side of the steam trap when the steam trap releases condensate. 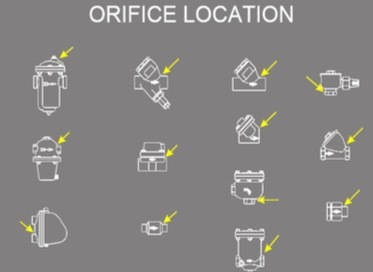 Therefore, placement of the contact probe will always be at the discharge orifice side of the steam trap. Once contact has been made, adjust the sensitivity/volume on the instrument until the sound of the trap can be heard. Figure 1 shows the location on the steam trap where contact should be made with the stethoscope module on the ultrasound instrument. When inspecting steam traps with ultrasound, it is important to exercise patience. Make contact at the discharge orifice of the trap, and wait for the steam trap to cycle. If the temperatures have been checked, and the trap has not cycled for approximately one minute, move on to the next steam trap. If the steam trap has not cycled within one minute’s time, it may be difficult to know when the trap may cycle again, but if the temperatures are OK and there’s no indication of a plugged condition, proceed to the next steam trap to be tested. When first starting out, it may be helpful to compare sound characteristics from similar types of steam traps to help the inspector learn what a good or failing steam trap sounds like. Now that the inspector has gathered all of the information for the condition of the steam traps that were inspected, it is important to document the findings. Not only should the operating condition of the steam trap such as failed, leaking, or OK be reported, but also the dollars lost from the failed or leaking steam traps. In order to generate the Steam Loss Report in the Ultratrend DMS software from UE Systems, the inspector will need to know the following information for each steam trap: Type of Trap, Orifice Size (if unknown use a common orifice size of 1/8” or estimate based off of the pipe size), Inlet Temperature, Outlet Temperature, Operating Condition (OK, Leaking, Blowing, Plugged, Not In Service), and how much it is costing to generate 1000 lbs. of steam ($/1000 lbs.). If you are using UE Systems’ Ultraprobe 10000 or Ultraprobe 15000 instruments, you can enter this information onboard the instrument as the steam trap survey is taking place. Figure 2 shows the report once it has been generated in the software after the data have been compiled. 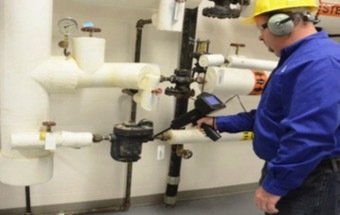 Airborne & Structure-borne ultrasound instruments are valuable inspection tools that not only provide insight into the health of steam traps, but also other components of the steam system such as heat exchangers, shutoff valves, control valves, solenoids, relief valves, cavitation in condensate return pumps, and steam leaks to atmosphere. An effective steam trap maintenance program begins with safety and awareness first. 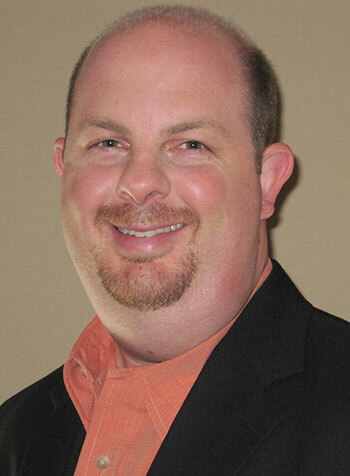 Creating a sense of awareness in the facility of the issues surrounding faulty steam traps can help to eliminate potential problems much sooner because everyone knows the safety and economic problems that failed steam traps create. Properly training individuals who will perform the steam trap inspection is also a key factor to an effective steam trap maintenance program. By knowing what the potential problems are and how to identify them, the effectiveness of the overall steam trap survey is increased. Also, having a good understanding of the operation of the steam system can also aid the inspector in being able to identify potential problems once they are in the facility performing the steam trap survey. Once the data have been compiled, proper reporting and documentation of the failed or leaking traps and the dollars associated with the failed steam traps must be reported. With an increased focus on energy and sustainability within our industry, this is a great way to show potential customers and suppliers that energy loss is taken seriously and that there is a continuous effort being made to correct problems related to energy loss. An ultrasonic steam trap testing program is an easy, quick, and accurate way to identify problems with the steam traps and the overall health of the steam system.